If you are experiencing pain and want an alternative way to medications for relieving the pain, it might be difficult for you to know which treatment to choose- acupuncture or osteopathy? At Amena Wellness Clinic based in Tweed Heads, we can advise on the right alternative method to relieve your pain. We draw on the breadth of experience and deep expertise of our acupuncture practitioner to help address your health concerns. In order to determine whether to seek an acupuncturist or osteo, we will first discuss what each therapy entails. Acupuncture treatment involves insertion of fine needles in the skin. 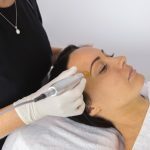 The needles are inserted at specific points depending on the condition being treated. Each acupoint has a particular effect on the flow of energy. This process works by stimulating nerves in order to produce a number of effects. It stimulates the body’s function and enhances natural self healing process. The needles used are very thin hence not painful, some may feel a slight tingling sensation. Heat, pressure or electrical stimulation can also be used to enhance the effects. 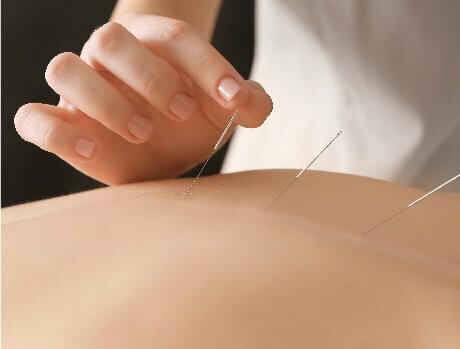 Other techniques including moxibustion, cupping, tui-na, and topical herbs can also be incorporated to stimulate acupoints. Would you like to know more about acupuncture? Osteopathy is a non-invasive therapy that involves manipulating and strengthening the musculoskeletal to improve health. It’s based on the principle that health and wellbeing depends on the smooth operations of bones, muscles, and ligaments. It focuses mainly on the joints, spine, and muscles. It uses a hands-on approach to gently manipulate different areas in the body. An osteopath uses techniques such as resistances, pressure, and stretches to increase the mobility of joints, release muscle tension and enhance blood supply to these tissues. 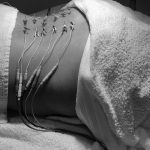 The difference between osteopathy and acupuncture lies in the principles behind approach to treatment, techniques used and conditions treated. Osteopathy mainly focuses on muscles, joints and spinal health. The osteopath examines and treats the mobility of these systems through manual adjustments and physical manipulations. The osteopath identifies the blockades that are linked to the patient’s conditions and then works out a treatment that encourages the body to heal. This relieves the pain associated with the musculoskeletal and neurological systems; however, it does not treat extreme injuries, bone cancers, broken bones, and joint infections. Acupuncture is holistic and encompasses all body systems. The scope of acupuncture extends beyond relieving pain. It aims at creating balance in the musculoskeletal, nervous, cardiovascular, respiratory, gastrointestinal, gynaecological, and endocrine systems. Acupuncture has been used for more than 200 years, and various studies that have been conducted have shown its effectiveness in treating different conditions. DOES ACUPUNCTURE REALLY WORK AS GOOD AS OSTEOPATHY? Both acupuncturists and osteopaths can treat muscles, back pain and neck pains. Acupuncture is ideal for musculoskeletal pain including sports injuries, joint and muscle injuries as well as back and neck pain. Acupuncture also has scientifically proven benefits for pregnancy support, fertility, skin conditions, gynaecological care, mental health, digestion and boosting immunity. It’s also suitable for the elderly whose physical manipulation may worsen their problems. A good therapist should be able to determine the best treatment for their patients depending on their particular problem. WHO NEAR ME OFFERS THE RIGHT TREATMENT? At Amena Wellness Clinic, you will find the right advice and treatment options to help you get back into doing what you love most. Our practitioner has undergone rigorous training and undertakes every treatment in exemplary professional standards. We have continued to achieve success in treating a wide range of issues by incorporating acupuncture and Traditional Chinese Medicine. We treat each problem individually and tailor an appropriate treatment accordingly. After the treatment, we offer advice aimed at helping you maintain improved function and optimal body health. Combining both Osteo and Acu treatments can enhance your results greatly. If you would like more information on osteopathy and acupuncture services, call us now for a chat.